New Delhi: While India has refused to relent on a contractual dispute between NTPC Ltd and Russia’s Technoprom Exports (TPE), the former expects to settle a similar dispute with another Russian company, Power Machines, over the supply of turbines for a coal-fired power plant in Barh, Bihar. Expansion plans: A file photo of an NTPC power plant. The delay in supply of equipment due to the disputes with the Russian firms will affect its plans to raise its total installed capacity to 50,000MW by 2012. However, NTPC—India’s largest electricity producer—will be able to start the 1,980MW project, already two years behind schedule, only once it resolves the dispute with Technoprom over boiler supplies. The Russian companies are seeking more time to deliver the equipment and an upward revision in prices citing rising input costs. “We will initiate discussions with Power Machines shortly in the contractual dispute for the supply of equipment to our Barh and Sipat projects. A team will leave for Russia in the second week of January. However, this team will only meet the Power Machines executives," said an NTPC executive who declined being named. “Technoprom is a separate issue and it will be resolved through adjudication. There are other interests at work here," the executive added. Power Machines is also involved in a dispute with NTPC for supply of steam turbine generators for the 1,980MW Sipat power plant. The firm did not respond to emailed questions. While Russia has linked the resolution of the Technoprom dispute to India’s request for a stake in the Sakhalin-3 oil field, the deal is being investigated by the Interpol and the Central Bureau of Investigation, which say bribes were paid to secure the supply of boilers by the Russian company to NTPC. “We are going to deal with this (Technoprom) case as per the contract," said another NTPC executive who did not want to be named. NTPC had placed the order for turbines for Sipat and Barh projects with Power Machines on 6 February 2004 and 14 March 2005, respectively. The Sipat order was placed with a consortium headed by Power Machines with other Russian companies such as LMZ, Electrosila and Energomachexport. 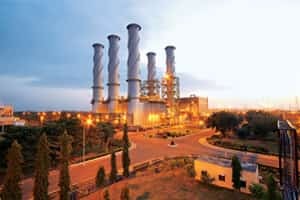 “They are not supplying equipment to us as they have been facing financial problems and there have been frequent management changes," said the NTPC executive quoted first. NTPC has an installed capacity of 29,144MW. The delay in these projects will affect its plans to raise capacity to 50,000MW by 2012. A communication by the power ministry to the prime minister’s office, reviewed by Mint, states there are delays in the Sipat project due to “non-release of timely payment by Power Machines to their sub-vendors". On Barh, the same document says, “Power Machines, on the one hand, is delaying the execution of the contract, and on the other, seeking extension in the contract schedule and cost compensation by way of removal of the price variation ceiling of 20% specified in the contract." “The Technoprom issue has already gone to adjudication. However, any positive coming out of the meeting with Power Machines will certainly help NTPC," said Madanagopal, an equity research analyst, who uses only one name, at Mumbai-based Centrum Broking Pvt. Ltd. In an 18 November report, Madnagopal wrote, “NTPC has planned...capacity addition of about 22GW (one GW equals 1,000MW) by FY12. However, most projects are facing delays due to equipment...constraints, due to which we expect only 11GW to get commissioned before FY12 and 16.4GW by FY14."